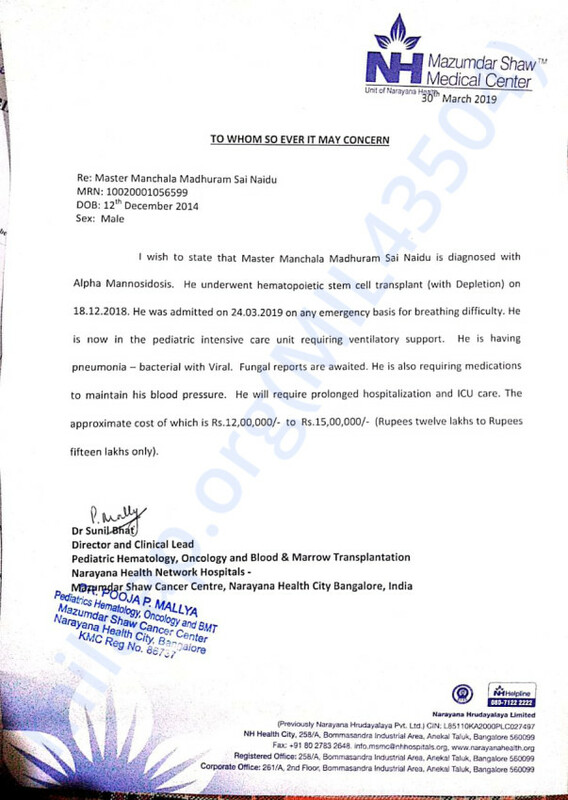 Help 3years old boy, Manchal Madhuram Sai Naidu, to undergo a Bone Marrow Transplant. Here is an update on Manchala. He has undergone BMT on 18/12/2018. He is currently in the BMT room. 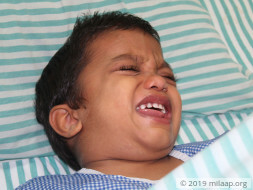 After the transplant, he is suffering from Loose motion and fever as a side effect. Complications will be there for 10 days and there is nothing to worry is what the doctor has told. Liquid food is given as of now. Thank you so much for your love and support. Please pray for my kid. Thank you for the love and support shown towards Manchala. He has been admitted to the hospital for the 3rd cycle of chemotherapy. On completion of this cycle he will have a review of his health and the date of the bone marrow transplant will be set. 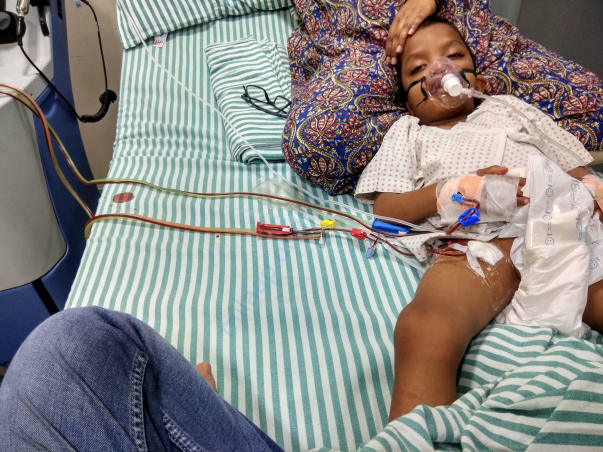 His father has been identified as the potential donor. Please keep him in your prayers and continue sharing his campaign with your friends and family. Here is a quick update on his health. 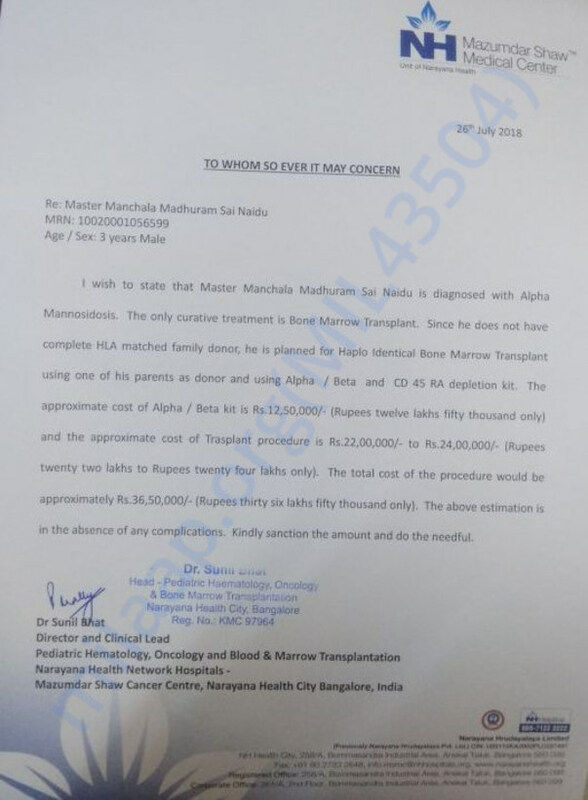 He was admitted in Narayana Hrudayalaya for the initial phase of treatment which is stem cells collection. The medical team successfully collected the stem cells and he is now discharged. Currently he is overwhelmed by the procedure but overall doing well. He will undergo the next phase of the treatment in this week.